The writing at the bottom of this hand painted image reads, "The Adirondack Mts. From Vermont Side." 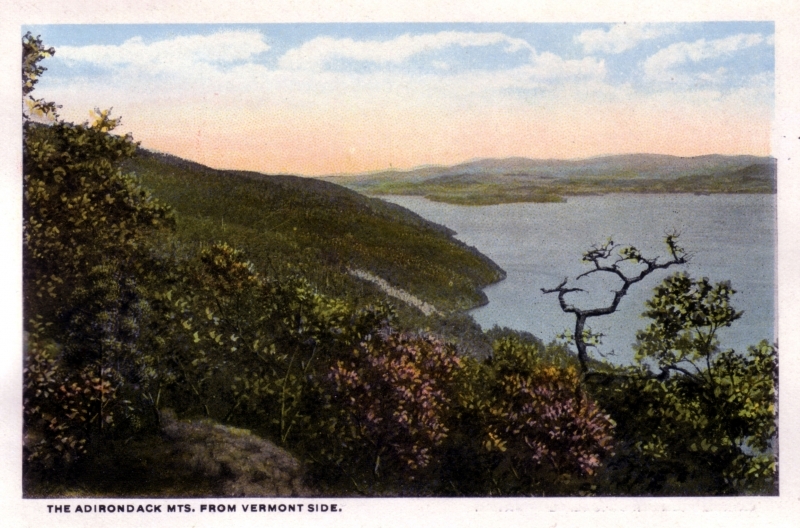 This image shows a view of Lake Champlain with the Adirondack Mountains in the distance. A hill covered with a variety of deciduous vegetation gently slopes down to the lake in the foreground on the left while the foothills of the Adirondacks begin to rise up in the distance. The season is summer.